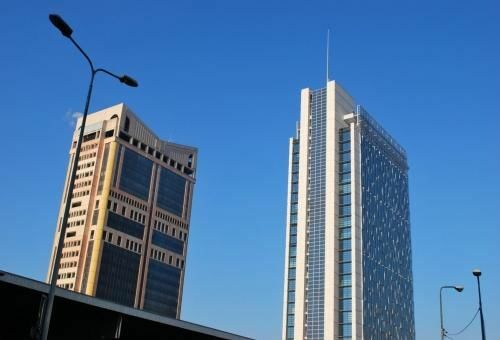 Ideally located just outside Milan’s city centre, near the A4 highway that links Trieste to Torino (Turin), the Klima Hotel Milano Fiere is the ideal solution for corporate guests visiting Milan. We are conveniently located opposite the entrance to the World Fair Expo 2015 and offer easy and direct access to Milan city centre. Take the A51 towards Aeroporto Orio al Serio/Tangenziale Est/Lecco/Tangenziale Nord/Venezia and exit at Milano Viale Certosa. Follow the signs to Via Stephenson and Ospedale Sacco first, and then follow the signs towards Klima Hotel. Take the A4 towards Torino and exit at Milano Viale Certosa. Follow the signs to Via Stephenson and Ospedale Sacco first, and then follow the signs towards Klima Hotel. From Stazione Centrale take metro line 3 to Repubblica (yellow line) or line 2 to Garibaldi (green line). Then take suburban train lines 5 or 6 towards Novara or Varese and get off at Milano Certosa station. 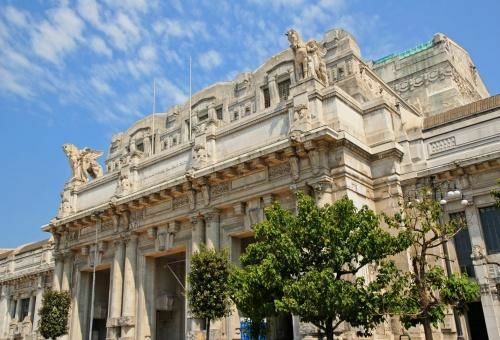 Once you arrive at Milano Certosa train station, walk towards Via Mambretti (platform 1), then call our hotel and we will pick you up free of charge. Take suburban train lines 5 or 6 towards Novara or Varese and get off at Milano Certosa station. Once you arrive at Milano Certosa train station, walk towards Via Mambretti (platform 1), then call our hotel and we will pick you up free of charge. 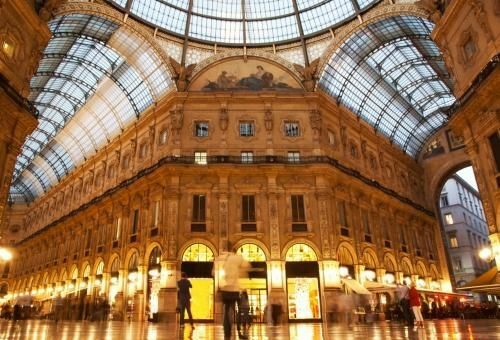 Milan is Italy’s main commercial and financial centre, an economic powerhouse that still retains plenty of Old-World magic in its historical centre. 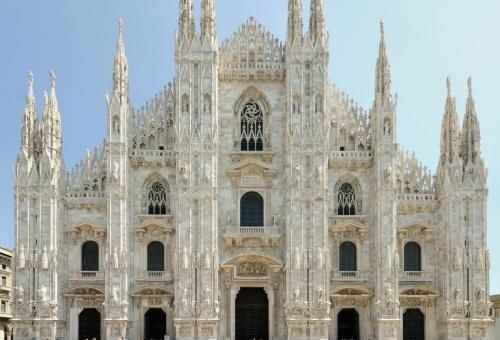 The magnificent Duomo (cathedral) is one of the major sights, along with Leonardo da Vinci’s masterpiece The Last Supper, to be found inside the church Santa Maria delle Grazie. 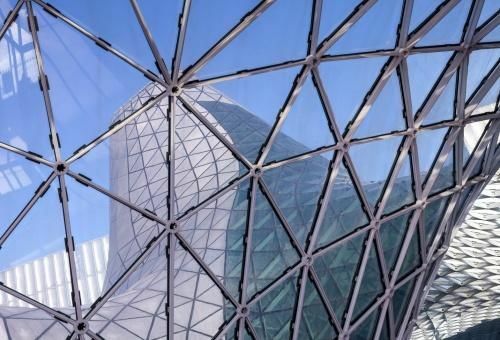 Our hotel is located in the north-western part of the city, an area that has been redeveloped for exhibitions and trade fairs, including Expo Milano 2015. Here is a list of places you may like to visit. The 2015 World Fair, Expo Milano 2015,was just a few steps away from the hotel. 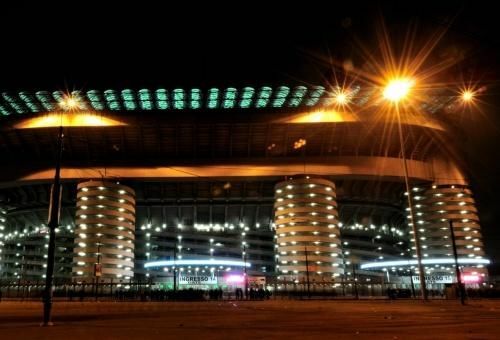 San Siro Stadium, also known as Stadio Guiseppe Miazza, is emblematic of Milan’s great football tradition. 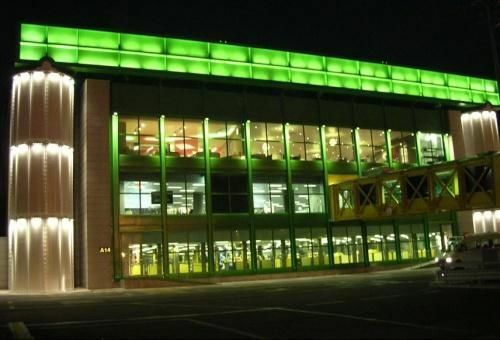 Host to both AC Milan and Milan Inter, it has also hosted some remarkable concerts – Bob Marley played his first concert here in 1980. There is also a museum dedicated to the two soccer teams here, a must for football fans. By car: 8.6 km from the hotel, a 15-minute drive. 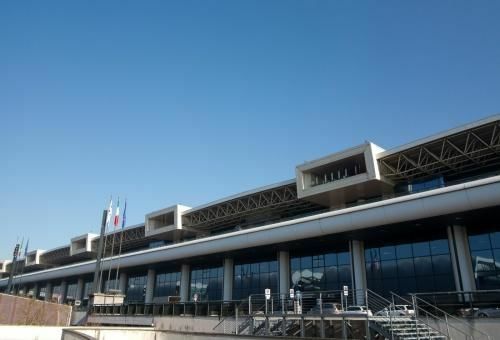 Our hotel is conveniently located near the Rho Fiera exhibition centre, which is located between the suburbs of Rho and Pero, next to the Expo 2015 site and just a 7-minute drive along the A4 from us. After taking the A4 highway towards Torino, exit in Pero. The famous Italian racetrack in Monza is easy to reach from our hotel. The Grand Prix track is used for car racing, particularly Formula One, and also for the Grand Prix. Built in 1922, it has a chequered safety record and has undergone regular changes and upgrades to reduce accidents. By car: 25 km, 32-minute drive. Take the A4 Highway towards Venezia and Trieste, exit in Cinisello Balsamo/Sesto San Giovanni then bear right towards Monza/Lecco on the SS36. 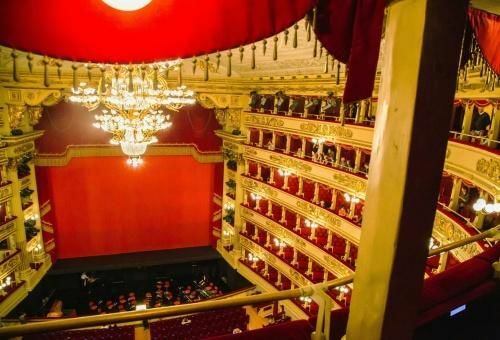 No trip to Milan is complete without a visit to the legendary La Scala opera house. Opened in 1778, this magnificent building was first renovated in 1907, then rebuilt after a severe bomb damage in the Second World War and renovated again in 2002-04. It hosts operas and ballets with the world’s top companies and performers. By car: 25-30 minute drive; 9,8 km. By public transport: 1 hour; take bus no. 57 from Via Antonio Aldini to Parco Sempione or bus no. 40 from Via Mambretti to Affori and then Metro M3 (yellow line) to Montenapoleone. Built between 1865 and 1877, the Galleria Vittorio Emanuele is one of the world’s oldest shopping malls. 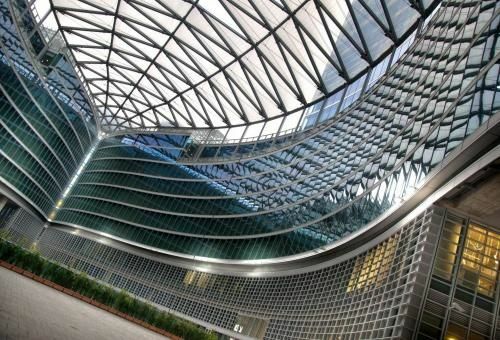 Located between the Duomo and La Scala, its remarkable glass dome is worth a visit in itself. Nowadays it is an upscale experience, with luxury boutiques, jewellery stores and art shops, as well as restaurants and cafés. By public transport: 1 hour; take bus no. 560 from Via Mambretti to QT8 then M1 metro (red line) to Duomo. 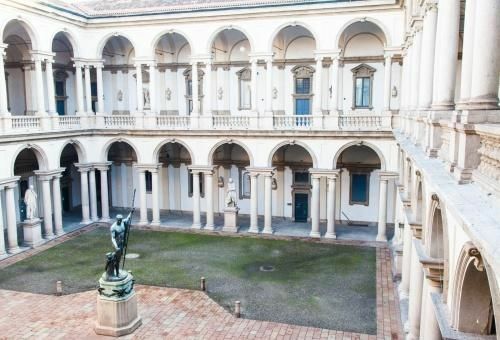 The Pinacoteca di Brera (Brera Gallery) is one of Italy’s main art galleries. A former Jesuit monastery, it became a palace housing the Art Academy and paintings confiscated from monasteries by Napoleon, who conquered the city in 1796. It has a superb collection of pre-Renaissance and Renaissance Italian paintings as well as Old Masters from Italy and many other parts of the world. The monastery’s botanical garden is also worth a visit. By car: 10 km, 30-minute drive. By public transport: 1 hour 15 minutes; take bus no. 40 from Via Mambretti to Affori fn then M3 metro (yellow line) to Montenapoleone.